To summarize the argument of John Williams: The economy is spiraling into a severe depression of the 1930s or 1970s type. To meet its various present public obligations, future promises, and prop up the economic mechanism — which, for the moment, we can call debt-driven economic growth — the Federal Reserve is forced to monetize Washington spending. This monetization is itself producing a collapse in the credibility of the dollar. Sooner or later this loss in credibility will result in the outright rejection of the dollar as world reserve currency, triggering a hyperinflationary depression. In the course of this hyperinflationary event, lasting about six months or so, the dollar will become worthless. To a great extent, although differing on some subtle points with Williams, FOFOA throws light on Williams’ own thinking. In FOFOA’s description of events, the hyperinflation event is front loaded with the essential dry tender: the accumulation of fictitious assets denominated in dollars over an 80 year period produced as a by product of the economic mechanism — debt fueled economic expansion. The event is triggered by a collapse of debtors’ ability to make good on their debts. This, in turn, is followed by an attempt by the Fascist State to rescue the financial institutions on whose books the fictitious assets reside, which produces a loss of confidence in the currency and its rejection as world reserve currency. It is only at this point, government begins printing money to survive and pay its obligations, generating the onset of extremely rapid price increases and the core hyperinflation event..
“What’s the difference between a deflation denominated in gold versus dollars?” Well, there’s a huge difference to both the debtors and the savers. In a dollar deflation the debtors suffocate but in a gold deflation they find a bit of relief from their dollar-denominated debts. And for the savers, the big difference is in the choice of what to save your wealth in. This is what makes the deflationists so dangerous to savers. A deflation imposes an extremely heavy burden on debtors, requiring them to repay their debts with ex nihilo denominated debt whose purchasing power is increasing, and which, therefore, requires increasing amounts of effort to repay. By contrast, a hyperinflation reduces the burden of accumulated debt by depreciating the purchasing power and burden of ex nihilo denominated debt. In the thinking of those predicting deflation, as the debt bubble of the last 80 years bursts, the Fascist State will find it impossible to reflate the debt bubble and will be forced to accept deflation. Thus, a full scale debt deflation depression is in the offing. The process of actual hyperinflating prices begins with the attempts to monetize bad debts — to socialize the losses of big capital — not with money printing; the money printing only begins in earnest once monetization of bad debt leads to a loss in the credibility of the dollar. …it is the US Govt. that will make sure this becomes a real Weimar-style hyperinflation when it forces the Fed to monetize any and all US debt. And as dollar confidence continues to fall, that’s when the debt must go exponential just to purchase the same amount of real goods for the government. One month the debt will be a trillion, the next month it will be a quadrillion just to buy the same stuff as the previous month. How long will this last? Less than 6 months is my guess. According to FOFOA, on the balance sheets of the failed banks there now is more than enough reserves to fuel a sudden burst of hyperinflating prices should society suddenly lose confidence in the dollar. As this base is pulled into circulation by a general demand for goods in the face of rising prices, the Fascist State will be forced to begin printing money to cover its own obligations. Each month the amount of ex nihilo dollars needed to fill the same demand for government spending increases, and with this increase, the amount of new ex nihilo money created will increase. This compounding growth in the supply of ex nihilo currency will provide added impetus to the explosion of prices. The explosion of prices will not be contained short of a new monetary regime in which assets and debt are somehow tied to gold. The problem is that the expanding money supply due to lending always lowers the value of a unit of currency. Even if it is gold. If I loan you a $1 gold money, you now have $1 gold and I have a $1 gold note. The money supply has just doubled, and the value of $1 gold just dropped in half. This is a fact of money systems. We can try to get rid of it by outlawing lending, but that is like outlawing swimming in the summertime, or beer drinking. The solution is quite simple. And I didn’t come up with it. The problem is that at the point of collapse, some of the savers are wiped out, whether gold money or fiat. Think about those at the back of the line during the bank runs of the 1930’s. They didn’t get their gold. They lost their money. Today we don’t have this problem anymore. The guy at the back of the line gets all his money, it’s just worthless in the end. We solved the problem of bank runs (bank failures) but not the problem of value. The solution is that the monetary store of value floats against the currency. It is not the same thing that is lent! It is not expanded through lending and thereby diminished in value. Instead, as $1 is lent, and now becomes $2 ($1 to the borrower + $1 note to you the lender) and the dollar drops to half its value, the saver, the gold holder will see the value of his gold savings rise from $1 to $2. I don’t want to get into the weeds on this proposal by FOFOA, since it is entirely beside the point of the examination of non-mainstream theories of the current crisis, and, in any case, a non-sequitur from the standpoint of capital. But, he inadvertently touches on a salient point for my examination: suffice it to say, capital is not and cannot be thought of as the accumulation of gold or any other commodity. It is the process of self-enlargement, or self-expansion, of the capital initially laid out in the capitalist process of production. At any given moment, this capital can take the form of money-capital, fixed and circulating capital, wages, and final commodities, but it is not identical with any of these momentary identities — it is relentlessly converted from one form to another constantly — both serially, and simultaneously in what, over time, comes to resemble a vast cloud of interrelated transactions — as it passes through the process of self-expansion. FOFOA’s proposal imagines the point of self-expansion is precisely what it is not: to assume the form of a hoard of gold — or any other store of value. This is true only insofar as we are thinking of capitals that are no longer capable of functioning as capitals — that are incapable of acting on their own as capitals, owing to the ever increasing scale of capitalist production, which renders these petty capitals insufficient to function on their own as capitals. Unable to operate on their own, they must be placed at the disposal of larger agglomerations of capital in order to continue functioning as capital, resulting in great stress for their owners, who now have to turn their otherwise lifeless hoards over to giant vampire squids of the Goldman Sachs type or cease being capitals at all. FOFOA’s proposal seems to confirm my identification of the social base of the hyperinflationist camp: a motley collection of petty speculative minnows, who are desperately trying to avoid the predation of the very biggest financial sharks and vampire squids — not to mention the Fascist State itself, which represents the interests of these predatory vermin. The hyperinflationists as a group imagine the dollar has reached the end of the line. 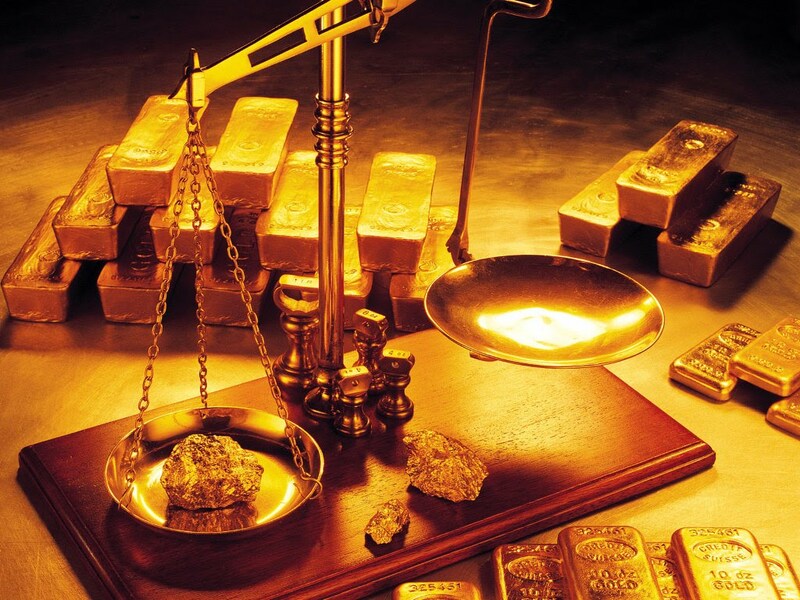 They imagine this will lead to a revaluation of gold and the creation of a new monetary system to replace the dollar, driven by the dissatisfaction of the majority of the planet with the monetary policies of the United States. So, we need to move on and examine this thesis. Absolutely brilliant article! Now that we’ve moved on 7 months from when you wrote it I would be extremely keen to hear your ‘update’ in light of the recent (potentially game-changing) events in Europe i.e. the Greek crisis followed by the relentless fiscal status downgrading by S&P and others. Are these events what you would call ‘mounting evidence’ in favor of an eventual hyperinflationary scenario for the USD? Or are they incapable of being a precursor or catalyst?